With over 20 years in the real estate industry, Carol Cohen’s approach to the business is simple – she offers the trust, integrity, loyalty and high level of service that she herself would expect from a real estate professional. Originally from Virginia, Carol’s background spans over 34 years in sales, marketing, management and real estate. An accomplished Realtor®, she has been licensed in Texas and ... more.Georgia as well as Florida. 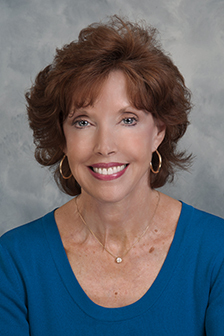 With over 32 years in Sarasota and Longboat Key, Carol is a true expert in the array of residential options throughout the area, in particular luxury waterfront property. Since joining Michael Saunders & Company in 2006, she has earned high regard from her customers and colleagues alike, thanks to her personable demeanor and ability to create a memorable experience. As testament to this, Carol is a recipient of the Five Star Real Estate Agent Award. Thorough, innovative and dedicated, Carol is proud to assist her customers as they make one of life’s most important and exciting decisions: buying and selling a home. She is a proud supporter of many charities. Some of her favorites include Salvation Army, MSC Foundation, Doctors Without Borders, Best Friends Sanctuary, Habitat for Humanity, Women for Women International, ASPCA, Humane Society and more. "I believe being blessed and fortunate, that it is your duty and calling to share your abundance with others." Also a member of the Sarasota Yacht Club, when she is not focused on real estate, Carol enjoys making the most of the outdoors and the cultural vibrancy of Sarasota.